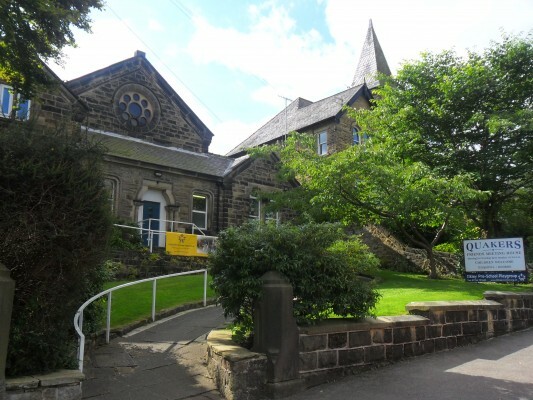 Our pre-school is situated in a modernised Victorian building at the beginning of Queen’s Road, just off Wells Road. We are a ‘pack away’ pre-school and our building use is shared with the Quakers and the wider community. It is located close to the moor and town centre and within a mile and a half of the four local state schools. Desktop PC suite to develop the children’s I.T. skills. Also in this room we have cooking and baking activities regularly throughout the year. 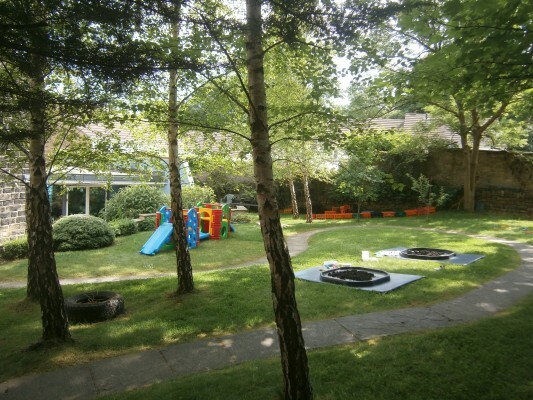 There is a large, secure, grassed area with a circular paved track, bird table, paved sitting and play area, benches, maintained flower beds and vegetable garden. Stone steps with a safety gate and hand rail lead from the garden to an enclosed tarmac area at ground level with a water tray and a permanent wooden play house. 3 toilets – girls, boys, and a large disabled. Secure, gated kitchen area inc. fridge, cooker, microwave and kettle. Our large garden with circular paved track. 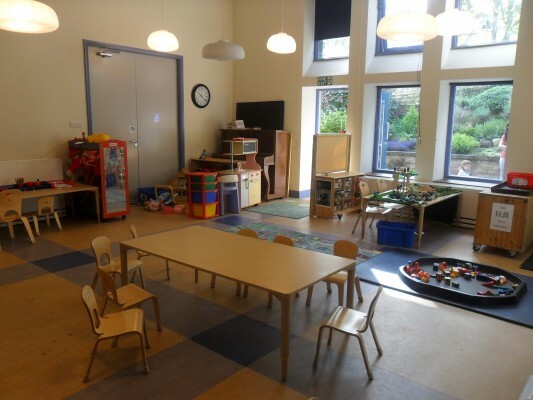 Our main play room is large, light and spacious. Ilkley Pre-school Playgroup from Queen’s Road.